"If you look at our Medicaid population, mostly children, mostly seniors, and single pregnant moms, I don’t think that is necessarily something that we would do,” House Speaker Richard Corcoran said. 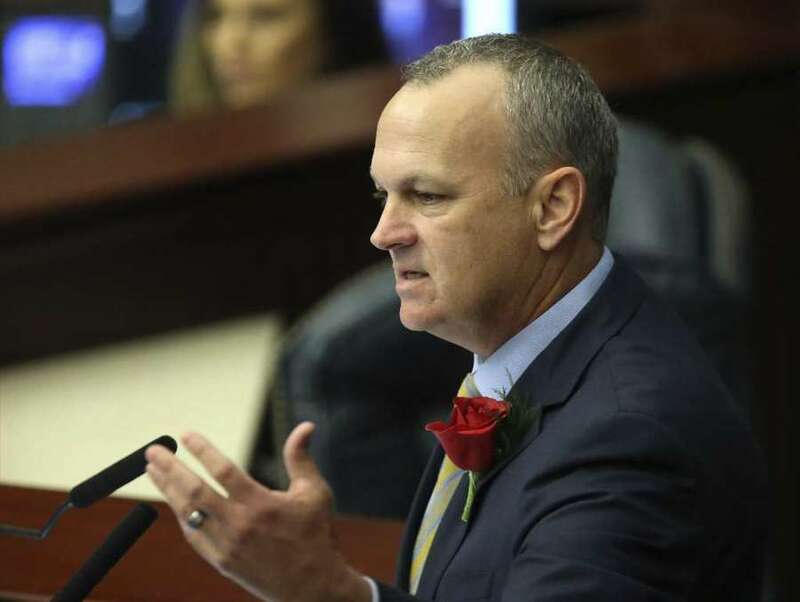 Florida House Speaker Richard Corcoran. TALLAHASSEE — While the Trump administration signaled willingness to allow work requirements for Medicaid beneficiaries, the Florida Legislature is unlikely to move ahead with such a mandate this year. House Speaker Richard Corcoran, R-Land O'Lakes, said Wednesday the state's $26 billion Medicaid program is comprised mostly of children and seniors and that work requirements are more geared toward able-bodied adults who qualify for Medicaid under the Affordable Care Act, commonly called Obamacare. "I think that's geared toward Obamacare expansion, not to our plan, since we didn't expand," Corcoran said of imposing work requirements. "We don't have childless able-bodied working age adults in our system, so I don't know how that would transpose to us. If you look at our Medicaid population, mostly children, mostly seniors, and single pregnant moms, I don't think that is necessarily something that we would do." There are about 4 million people enrolled in Florida's Medicaid program, making it the fourth largest in the nation in terms of population, according to Medicaid Director Beth Kidder. Estimated spending on the program will be just under $27 billion this year, making it the fifth-largest program in the nation in terms of spending. Kerri Wyland, a spokeswoman for Gov. Rick Scott, did not directly answer whether Scott would support work requirements or co-payments for the Medicaid program. "This would require legislative action. Governor Scott will review any bill that reaches his desk," she said in an email. The Trump administration on Wednesday sent a letter to state Medicaid directors announcing a policy to authorize work requirements for states with what are known as "Medicaid 1115 waivers." Florida has such a waiver. States would have the flexibility to identify activities other than employment that promote health and wellness and could include community service, care-giving or job training. Mandating work requirements has been a long-standing priority for conservatives, and the Trump administration announcement reverses previous policies that prevented states from requiring Medicaid beneficiaries to work to qualify for the program. While Corcoran said the House won't move ahead with the idea this year, the Republican-led chamber considered it last year. Rep. Travis Cummings, R-Orange Park, introduced a bill that would have required all Medicaid beneficiaries who are part of the state's "managed medical assistance" program to adhere to the same work requirements that currently apply to families who receive temporary cash assistance. The Florida Senate in 2015 unsuccessfully proposed expanding Medicaid under Obamacare and included in its proposal a mandate that eligible adults work to receive the benefits. But Senate Health and Human Services Appropriations Chairwoman Anitere Flores, R-Miami, said the Senate has not discussed requiring those currently enrolled in the program to work. "Should eligible Medicaid recipients be looking for work or be trying to work? Yes," Flores said. "Should that be a barrier to getting benefits? Probably not."